All the way from Hollywood, CA, David Palmer AKA The Leo King has joined us to talk about using the media (specifically YouTube) to grow a brand. In this episode, we have guest host, Natalia Petraszczuk of VisionBoards.co, interviewing David about the importance of producing daily content, using a subscription model, touring the U.S. to see his fans and how he’s been able to get on national TV numerous times. When we asked David what was his #1 secret to attaining thousands of subscribers, he said daily content. Starting in 2012, David started pushing videos to YouTube from his laptop’s built-in camera. Even with no other equipment, David made it work by ensuring the background, lighting and sound were as good as possible. 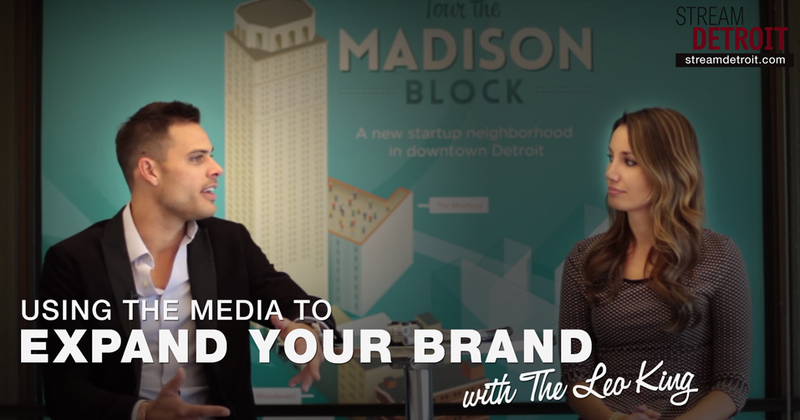 Join us and The Leo King, watch/listen to this episode of Stream Detroit.